As you know, the competition in computer video games appeared thanks to Quake. That was possible to play on network. However, the first competitive players the league has been registered only three years later, in 1997, in the United States of America. Ukraine went to his Federation for four years. First, in 1999, the public organization was created. In 2003, the federation was registered in the Ministry of Sports and Tourism, and the Ministry of Justice. 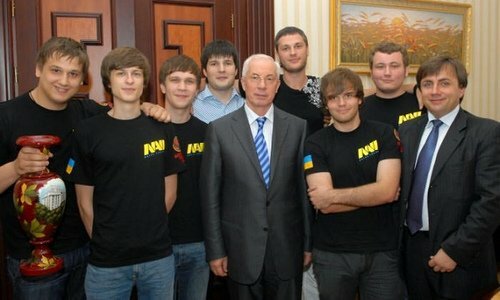 Already in 2004, Ukrainian received their Federation eSports. And immediately they declared themselves at the International World Championship on computer games: Electronic Sports World Cup (FRANCE), won the 14th place in the overall team standings among 58 countries. 2005 became the year of creation of the Ukrainian Cyber Professional League (UCPL - Ukrainian Cyber Professional League), which took over the organization and conduct of tournaments in Ukraine. As a result, now the tournaments under the auspices of UCPL held regularly at the highest level and with the participation of players from the former Soviet Union: Russia, Moldova, Latvia, Lithuania, Belarus, Poland, Kazakhstan. In addition League contributed to the popularization of computer technology and sports in the country. 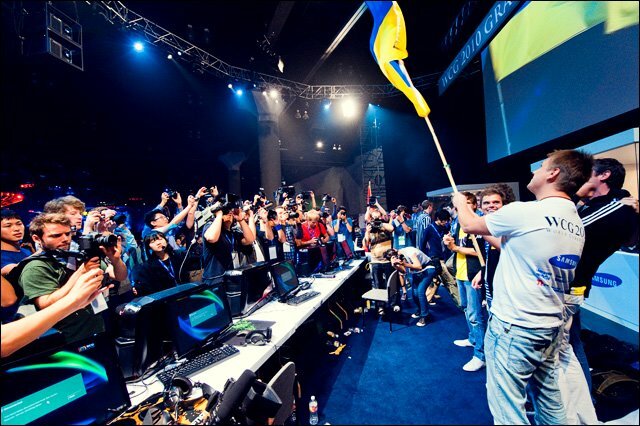 2013 is also remembered for fans of eSports. National Team Gaming takes 3rd place at the World Championship Counter-Strike: GO at the annual tournament: Electronic Sports World Cup in November. And the same in November, at a general meeting of the World Federation of eSports (IeSF) in Bucharest, Ukraine became the 51th full member of the Federation. And in the next year in Kiev will gather gamers to visit the World Championships in eSports. Therefore, for almost 10 years, the Federation is developing this direction in Ukraine, and does everything for a global cyber-Ukrainian sports victory. After FCSU - is not only the holder of international tournaments and Ukrainian championships on computer games. This is the work on the creation of a legal and competitive gaming space, as well as protection for the Ukrainian players and teams at the international level, in particular legal and financial assistance. After all, computer games is not only the emotions but also perfect knowledge of information technology. And the modern gamer - it is a professional who is familiar with the technical side and the software for them. Besides supporting eSports fans, country educates future professionals for the IT industry. Ukrainian eSports Federation was registered in February 2003, but it was in August 2004, it begins her story. 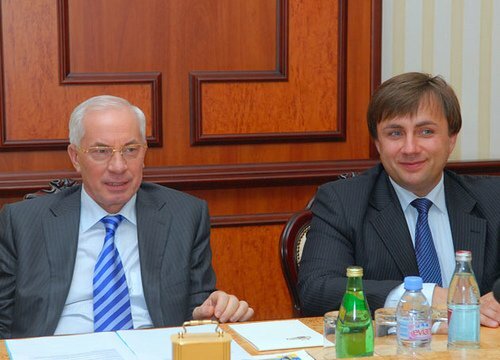 The Chairman of the Federation - Evgeniy Vitrenko. The Federation considers its main duty to do everything possible for global cyber-Ukrainian sports victories! ESports Federation of Ukraine (FСSU) is designed to achieve a number of ambitious goals. It is not only large-scale events, international tournaments and Ukrainian championships in the most famous and favorite video games. Also FСSU team will work on the creation of a legal and competitive gaming space, where each player or team will be able to honestly measure themselves with each other. For those who are going to show their best gaming skils all over the world, is going to develop, to create a team of associates and win championships for the Federation will not only become the main source of information about the game and tournament updates, but will defend Ukrainian players and teams at the international level to have the maximum legal and financial support in the quest for victory. Formation of the Federation of Computer Sports of Ukraine. Implementation of the Constituent Assembly of the federation and registration in the Ministry of Sports and Tourism, and the Ministry of Justice. 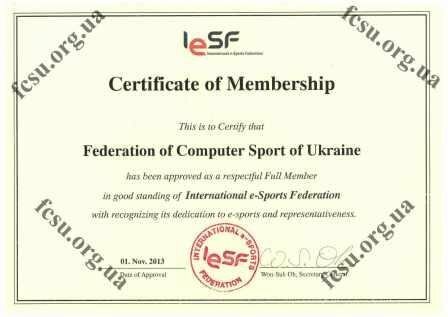 Ukrainians got the official Federation of eSports. Computer Sport Federation of Ukraine (hereinafter "FCSU"), the first and only Federation on the territory of Ukraine, which was established for the development of high technology, the popularization of computer games and competitions in Ukraine. In early 2004, the Federation was officially registered on the state level and from that moment began active work. The results did not take long to wait, in February 2004 FCSU becomes a national strategic partner (National Strategic Partner - "NSP") International World Championship on computer games: Electronic Sports World Cup (FRANCE). In July 2004, the Federation of Computer Sports of Ukraine organized the country's first competition on computer games in which the main prize - a trip and participation in the international World Cup in France: Electronic Sports World Cup 2004 (France). The composition of the national team consisted of 13 players. Ukraine took the 14th place in the overall team standings among 58 countries. This event confirms that the direction of "eSports" is a very promising and should be promoted. FCSU understands the need of creation a single organization that can take over the organizations and carrying out of tournaments in Ukraine. Ukrainian Cyber ​​Professional League (UCPL - Ukrainian Cyber ​​Professional League) summer of 2005, the Ukrainian Cyber ​​Professional League determines the state of the judge, the list of gaming disciplines and holds working meeting with the owners of the playgrounds on the territory of Ukraine. From now on tournaments under the auspices of FCSU held at a high level with the participation of players from the former Soviet Union: Russia, Moldova, Latvia, Lithuania, Belarus, Poland, Kazahstanu.Ukrainska Cyber ​​Professional League and the Federation of Computer Sports of Ukraine who started the first in Ukraine a good story for the show matches between the best players of Ukraine and other top players of the country. Qualified staff opened up new opportunities for the promotion of e-sports and computer technology on the territory of Ukraine. ESWC 2012: UUkrainian Qualifications-Computer Games National Tournament. 2013 is also remembered for fans of eSports. 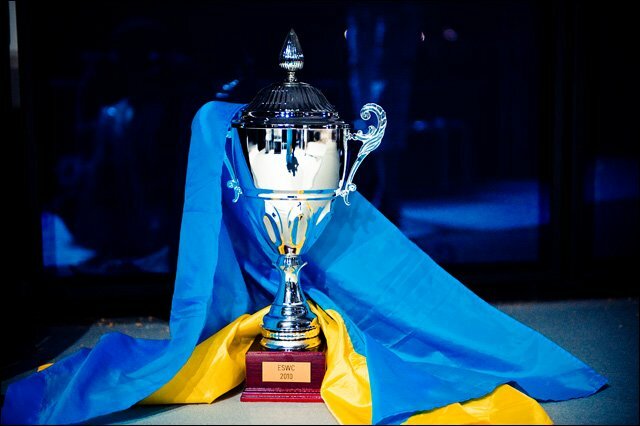 In Kiev, at the highest level passes the qualifying stage for the World Championship in France Electronic Sports World Cup (ESWC) 2013. Ukraine is represented Na`Vi players Evgeny Mostovik discipline FIFA 14 and the team Astana Dragons discipline Counter-Strike: Global Offensive, which won the 3rd place. In November, the General Assembly of the World Federation of eSports (IESF) in Bucharest, Ukraine became the 51th full member of the Federation and receives certificate of membership (in the photo). And in the next year in Kiev will gather gamers to visit the World Championships in eSports. ESWC 2006. Ukrainian Qualifications 2007. Ukrainian Qualifications in Ukraine-Show match: between Russia and Ukraine. 2007.